The workshop started off with an exercise where she got the participants to pair up and begin to guide each other around the room through pushing, pulling and guiding their partner with their hands. Afterwards they were all asked whether they preferred when they were being pushed or pulled. It allowed people to show and realise what their default styles were, and whether they prefer to just get on with things or be pulled into the right direction. She then asked the people what they thought those kind of default styles could be used for, and how they can be helpful in daily life. E.g. In leadership and giving guidance for others. The brain is the peak of evolution. Most leadership programmes are based on advance sophisticated considering your brain. Part of the brain which has been kept since being reptiles is a small part in our brain that people refer to as the ’fight or flight’ piece as it’s known as the survival part of the brain. She began to use the Disney Pixar movie ’Inside Out’ as an example of what kind of parts are in our brain. She referred to the survival piece as being the character ’Fear’ as he is very wary and knows what is best for the host and how they can stay safe and comfortable. ‘Fight or flight’, gives you choices on how you want to learn specific things. Wonder whether you will trip up or if you’re more than capable. 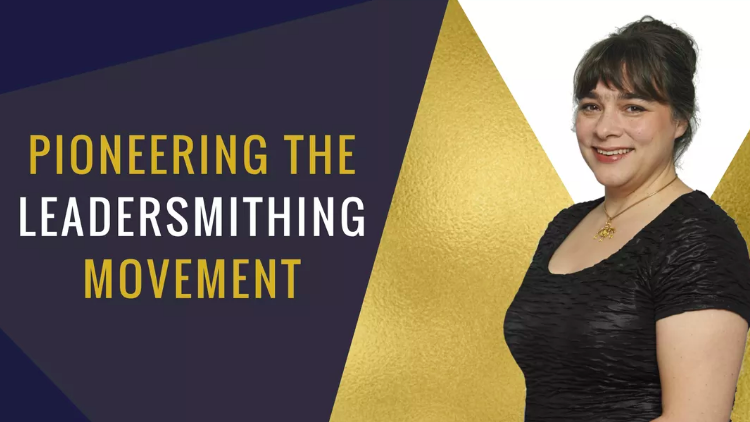 She then began to talk of the idea of ’Leader-smithing’. Which is a craft and an artistic weapon that everyone possesses. Madison Eddleston took part in Dr Eve Poole’s workshop on Leadersmithing: The tradecraft of leadership as Sacred Space, Association of English Cathedrals.